It’s December, which is nearing to an end now and here in the U.K., we have been ready for Christmas since the beginning of September. I had only begun celebrating Christmas 4 years ago since being with James. Christmas for us is very family oriented and pretty much the same every year – presents, food, family and close friends. It will be no different this year. But what is different is how I feel about it. I know this might sound weird, but here you go. Why do we buy each other so many useless things? Clutter to clutter to clutter to clutter. Why don’t we ask each other what we really need? Why do we spend so much money on things that people may like? Why? I know that’s a lot of whys, sorry about that. And once when you buy the gifts, you have to wrap it. You wrap all your brand new clutter with Christmas paper. 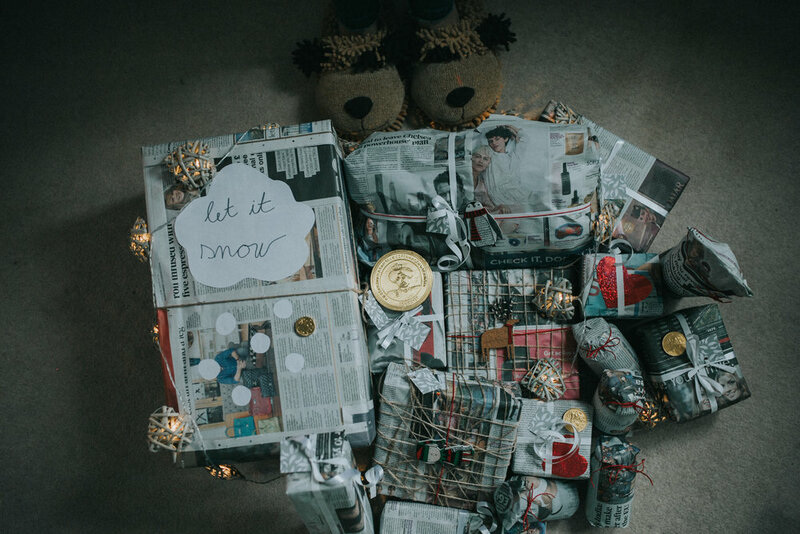 And if you are a last minute buyer (not that I do know anyone), you will usually wrap your presents on last day – the morning of Christmas Eve. Then, the presents will be opened in less than 12 hours, because we open ours at midnight. It’s quite a waste, no? Did you ever think about how ridiculous is this? What we do does not make any sense. Some people have to give up their meal to wrap presents, that they could not afford, for their kids with stupid Christmas paper. I know it’s cheap – buy one and get 2 for free, only for £2.00! Like what the hell? You still have to pay for it. 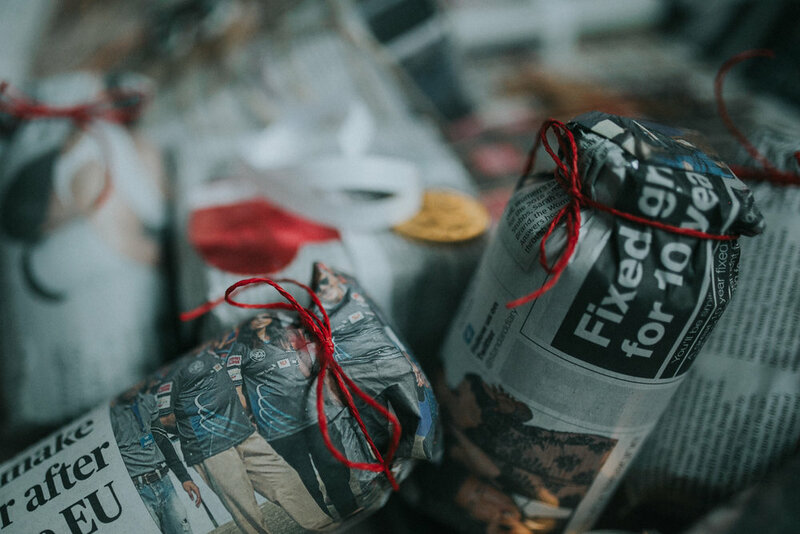 to wrap our Christmas presents with newspaper. You know the one that you can get on the trains and everywhere for free? That’s the one. that this year everyone will get something that they can eat, drink or just use and throw in the bin. Enough of useless clutter! to donate the money saved from Christmas wrapping to The Pug Queen. Here you go, thats it. It might be a small thing, but isn’t Christmas supposed to be about small things? I will let you decide this. So, here is an idea how to wrap Christmas presents on a different way. Please let me know what you think about this, and maybe next year we can do it together.